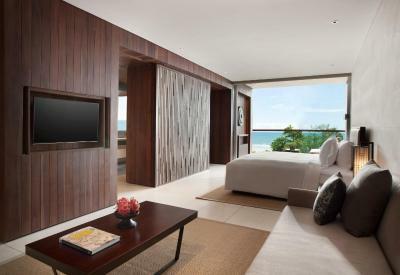 Lock in a great price for Alila Seminyak – rated 8.9 by recent guests! The beach was awesome, broad and wide, right in front of the hotel. The breakfast was superb where you can have both buffet and ala cart. The room was very spacious and the bed was super comfort. Everything! We was in honeymoon and we loved this hotel, and location! The architect, the interior design, the pool and the beach bar. The staff are also friendly and helpful. Great location with beautiful Beach front. Delicious food at both Sea Salt and pool bar. Good choice of live performer during Saturday sunset. 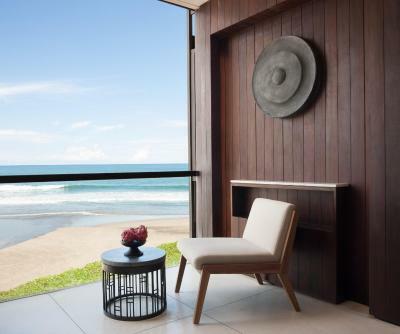 Alila Seminyak This rating is a reflection of how the property compares to the industry standard when it comes to price, facilities and services available. It's based on a self-evaluation by the property. Use this rating to help choose your stay! 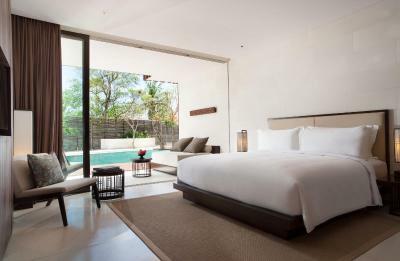 One of our top picks in Seminyak.Located in Seminyak, this luxurious 5-star resort is set on the beachfront. It has an outdoor swimming pool, a spa and a fitness center. WiFi is provided for free and available in all areas. 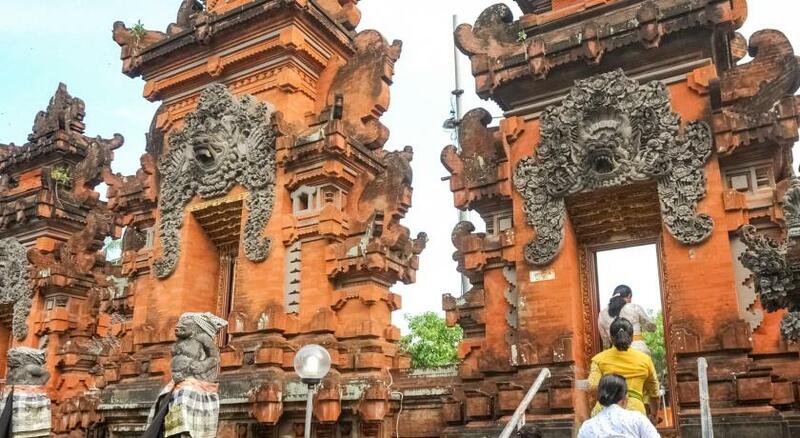 Guests also enjoy complimentary scheduled shuttle service to nearby area. 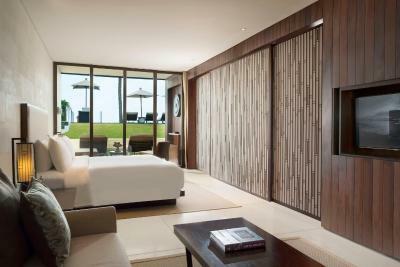 When would you like to stay at Alila Seminyak? 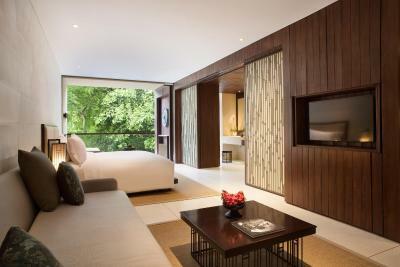 Suitable for up to 3 people, this suite has a balcony with garden view and a seating area with a sofa. 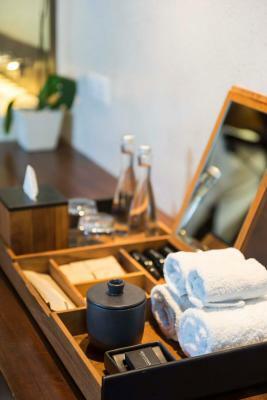 Private bathroom is stocked with a hairdryer, slippers, robes and free toiletries. Suitable for up to 3 people, this suite has a balcony with sea view and a seating area with a sofa. Private bathroom is stocked with a hairdryer, slippers, robes and free toiletries. 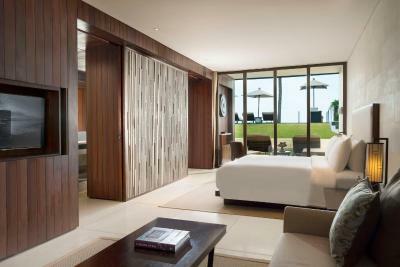 Suitable for up to 3 people, this suite has a balcony with sea view and a seating area with a sofa. Private bathroom is stocked with a hairdryer, robes and free toiletries. 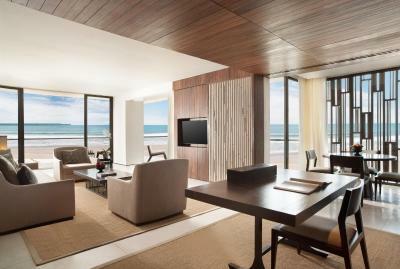 Featuring a balcony with views of the sea, this suite has a seating area with a sofa. Private bathroom is stocked with a hairdryer, robes and free toiletries. 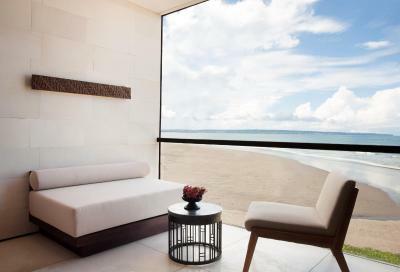 Offering views of the sea, this air-conditioned suite has a seating area and a kitchen. Private bathroom is stocked with a hairdryer, robes and free toiletries. Featuring a private pool, this air-conditioned suite has a seating area and a kitchen. Private bathroom is stocked with a hairdryer, slippers, robes and free toiletries. Suitable for up to 3 people, this suite has a terrace with garden view and two private sun loungers. Private bathroom is stocked with a hairdryer, slippers, robes and free toiletries. 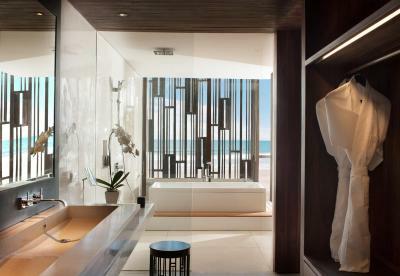 House Rules Alila Seminyak takes special requests – add in the next step! 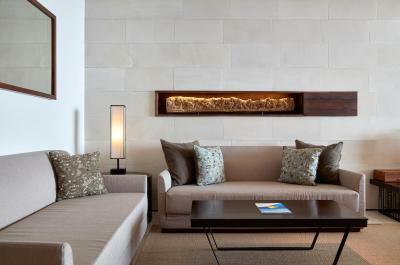 Alila Seminyak accepts these cards and reserves the right to temporarily hold an amount prior to arrival. In the event of Ngurah Rai International Airport closure due to Mount Agung activity, the property guarantees to accommodate in-house guests up to 2 nights stay (breakfast, lunch and dinner included) with compliments. The hotel will also provide shared transportation to the closest operating airport and assist in rebooking flights. We stayed in room 109. Would greatly appreciate if the hotel could put up a similar glass enclosure on the balcony as in room 111 where our children were. 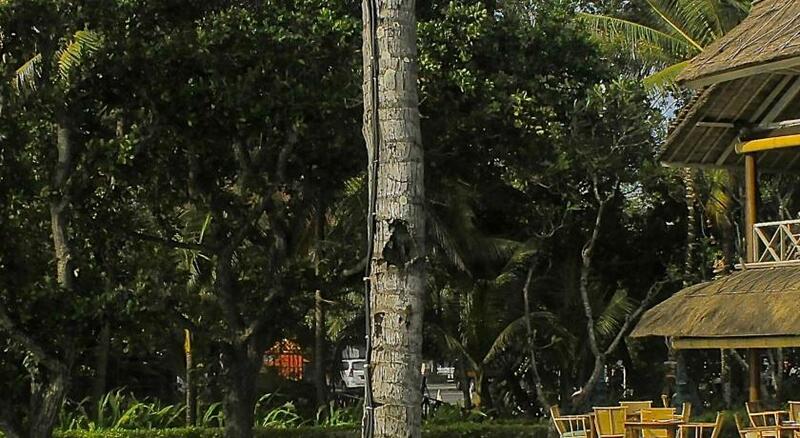 To reduce the noise coming from Mrs Sippy beach club, which was so loud at certain times. There was no iron in the room and a huge fuss was made over providing one on request. Even tea bags, creamers, water etc were provided on request and in a miserly fashion - each piece counted and questioned a few times. For such an expensive and high end property they should provide sufficient amenities. Stunning views and great facilities. 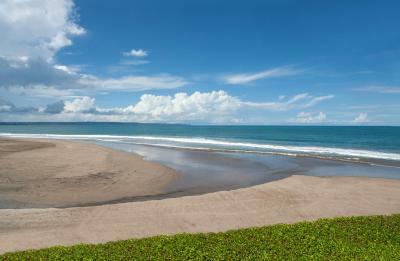 Good location in Seminyak. Modern property, well maintained and clean. 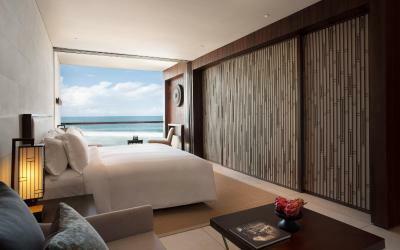 Love the location and the excellent service from the Alila team. Bed was comfy and breakfast good! We enjoyed the hotel so no major criticisms. To improve our stay, I think the openness of the design which gives beautiful views comes at the cost of some protection from the strong sun. I think some more natural shade might add to the level of comfort - the Bali sun is really too strong to sit out in all day, even for experienced sun worshippers. In the evening, the choice for hotel dining is limited and it would have been nice to have a second restaurant/bar choice in addition to the excellent main restaurant. Loved it all. Such a great experience, particularly the great service and the extra thoughtful things such as the free afternoon tea and the special 'honeymoon' cake we were given. We felt like we were really treated! Poolside menu a little limited. Gorgeous property with amazing staff and amenities.